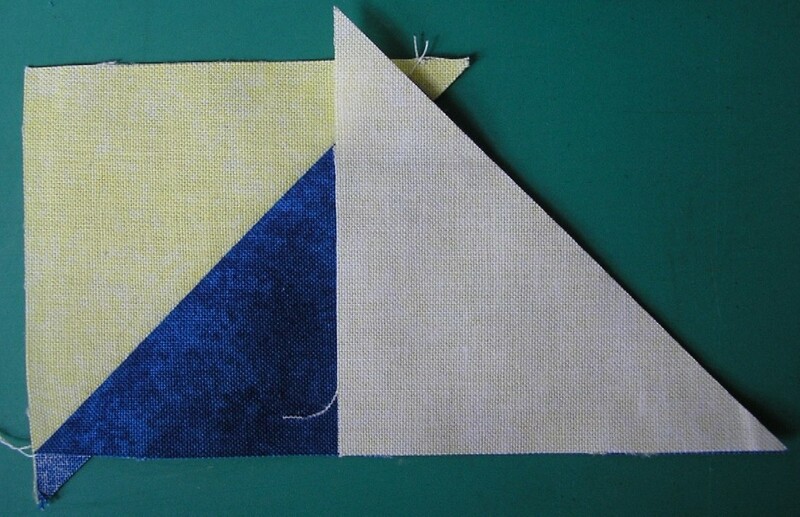 There is a ‘formula’ for virtually every shape we need to cut for patchwork. Hopefully the following will help you to work out how to rotary cut Flying Geese. Finished size – this is the size of the unit/piece once it is stitched into the block/quilt. Rounding up to the nearest ⅛ inch. If you have had to use a calculator then you need decimals not fractions. 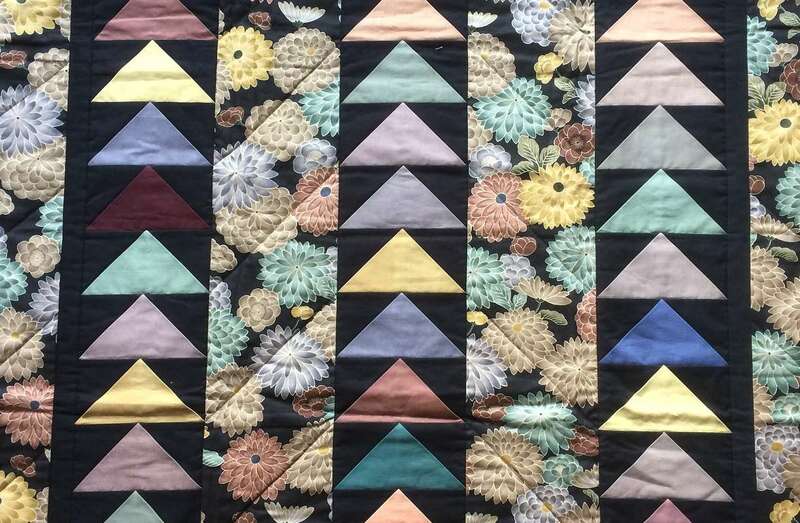 You’ve seen a lovely quilt you would like to make; you have managed to break the design down and seen it is made from a number of Flying Geese units. But what size? 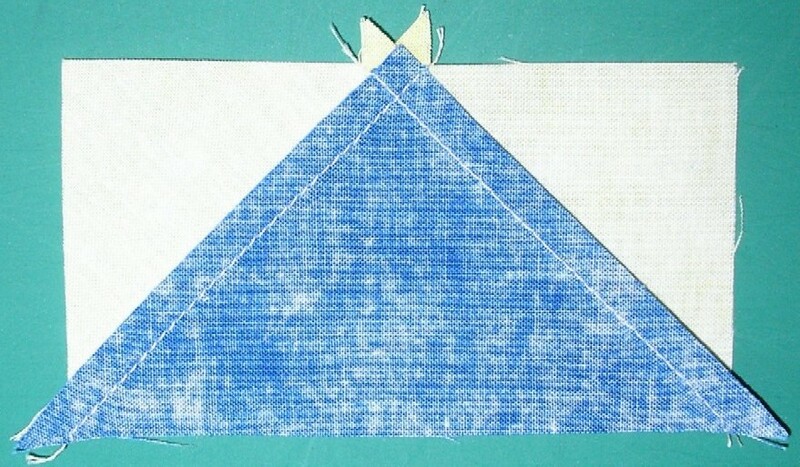 Flying Geese units are traditionally made one at a time by stitching two small half-square triangles to the shorter sides of one quarter-square triangle. This can be fiddly, and complicated by the fact that the triangles don’t quite line up – which point should you match? And how big should you cut those triangles? So some genius came up with the idea of making four units at a time starting with just squares. But what size should your starting squares be? There are two other methods for making Flying Geese units – both starting with a rectangle and two squares – one results in a folded unit and the other has ‘waste’ triangles. 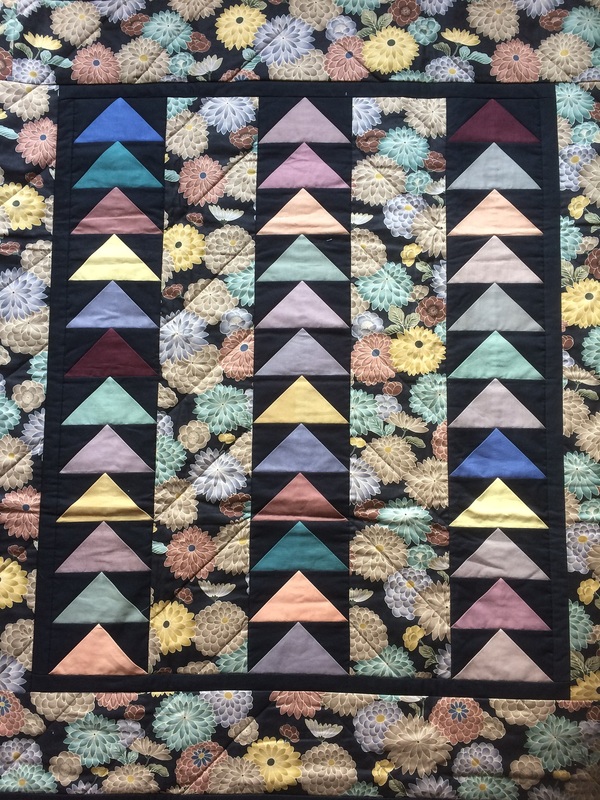 (The quilt shown here is made from folded units) Again, what sizes do you start with? Let’s go back to the beginning and the traditional method. 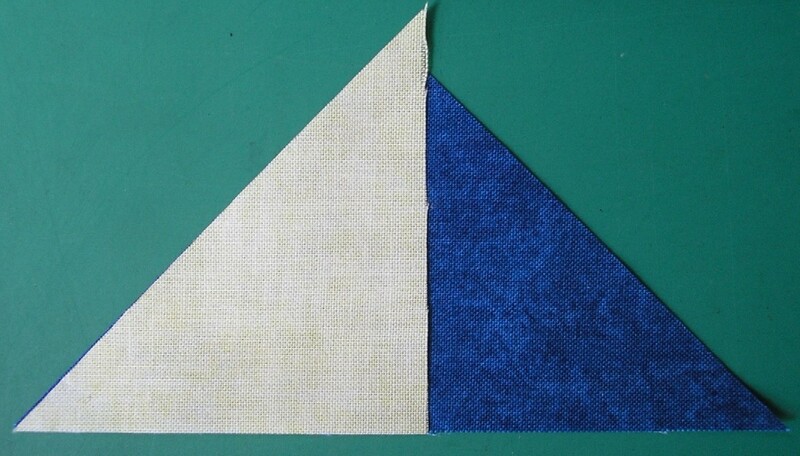 The smaller triangles (the ‘sky’) are half-square triangles so they are cut from squares that are the smaller measurement of the finished Flying Geese unit plus ⅞ inch. 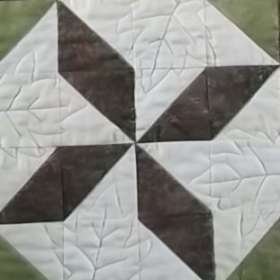 The big triangle (the Geese) is a quarter-square triangle so it is cut from a square that is 1¼ inches larger than the long side of the finished unit. Why are they cut differently? It’s to keep the straight grain of the fabric around the edges of the unit which will reduce its ‘stretchiness’ when you try to sew it into a block or a quilt. And as for the tricky ‘which points do I match?’ the answer is the bottom ones. Try to press the smaller triangles so you get a nice ‘x’ of seam lines showing on the back – it makes lining up the next piece to join to the unit much easier and saves you getting blunt beaks on your geese. You can find a post about pressing here. The four-at-a-time method can look really weird about halfway through and you do wonder if you’re doing it right. But . . . it works! As for those measurements – the Geese triangles are, again, a quarter-square triangle so cut the large square 1¼ inches bigger than the long side of the finished unit. 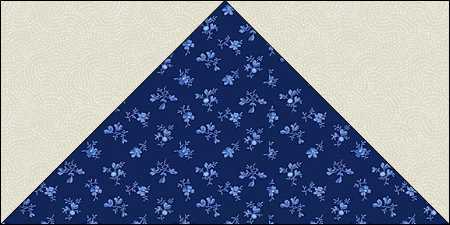 Cut the four smaller squares (the sky) ⅞ inch bigger than the short side of the finished unit as they are your half-square triangles. The square and rectangle cutting sizes are the same as the square and rectangles sizes for the simple blocks – in other words add ½ inch all round to the finished size of the unit for the rectangle and add ½ inch to the shorter side of the finished unit to get the size for your two squares. You can download the free cutting sizes tables (and brief instructions for all four construction methods) here. You can also download a free step-by-step photo tutorial for all methods here. And you will find links to examples of blocks using Flying Geese here.